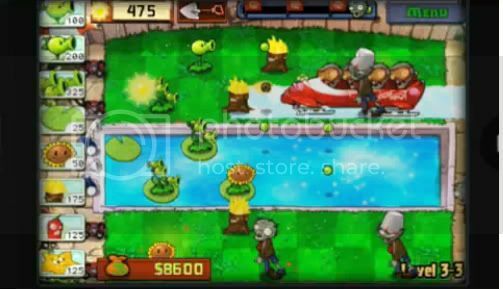 Plants vs Zombies for iPhone Out on February 15th! Defend Your Garden! Get your fingers ready as your favorite garden defense game is about to invade your iPhone and iPod Touch! Yes you heard err... read it right, after months of waiting we now have a release date for one of PopCap Games most successful defense game ever. Get ready to soil your plants and harvest all the sun you can on February 15th. Check the break for the trailer video featuring a sneak preview of the Zombie Bobsled team. I can't wait to play this on the go! One suggestion to PopCap Games, let us play the Zombie side too! Are you stoked as much as we are? Are you downloading this the moment it becomes availble on iTunes this February 15th? Let us know geeks! This game is really becoming more and more popular. I remembered playing this game a month ago where I spend most of my time trying to figure out the best strategy to beat those Zombies. Anyway, Plants and Zombies is still the best PC game that I played under the PopCap.